Home / Unlabelled / Warren Buffett's Ten Rules Of Success. 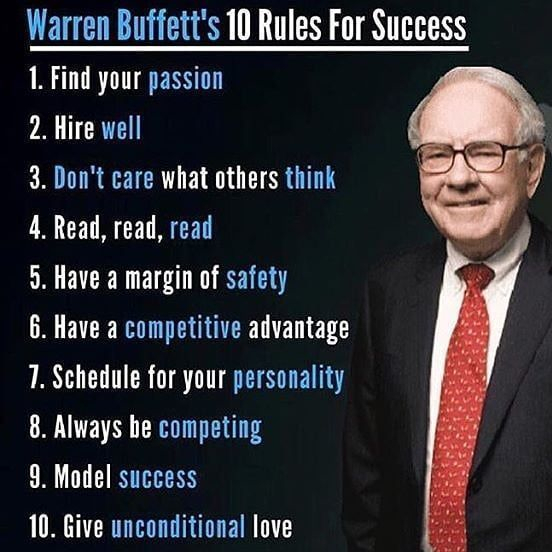 Warren Buffett's Ten Rules Of Success. 3 Don't care what others think. 4 Read, read and read. 5 Have a margin of safety. 7 Schedule for your personality.